Posted: Monday, May 7, 2018. 4:33 pm CST. By BBN Staff: Prime Minister of Belize, Dean Barrow, and Country Representative of the Inter-American Development Bank (IDB), Dr. Cassandra T. Rogers, today signed a loan contract for US$10 million that will seek to reduce Belize’s vulnerability to climate change and risk with the implementation of climate resilience measures in the tourism sector, and the improvement of disaster risk management governance. The project is a continuation of the Bank’s support for flood mitigation in Belize City, which included the Flood Mitigation Infrastructure Project, completed in 2017. Based on losses as a share of GDP, Belize is one of the countries most affected by extreme meteorological events –mostly hurricanes and tropical storms– in Latin America and the Caribbean. The tourism sector is particularly vulnerable to climate risk, and the situation could worsen in the future due to climate change. The program consists of two components. The first will seek to reduce climate change risk in the tourism sector. 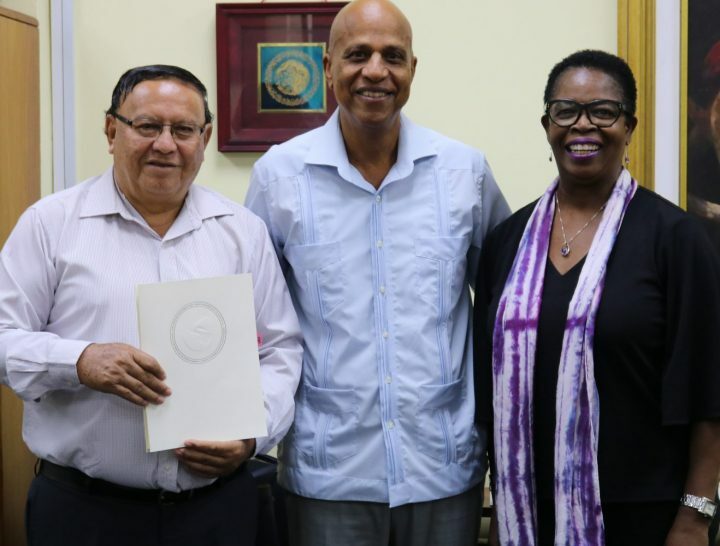 It will include studies and investments to reduce floods in the Orange Street area of Belize City, an area with a comparatively high climate risk. Additionally, this component includes actions to control coastal erosion in Palapa Gardens beach on Caye Caulker and to reduce the impacts of intense tourism activities on the surrounding coral reef and seagrasses at Goff’s Caye. The second component deals with disaster risk management governance and climate change adaptation. The US$10 million loan, from the Bank’s Ordinary Capital, is for a 25-year term, with a 5.5-year grace period and a LIBOR-based interest rate.